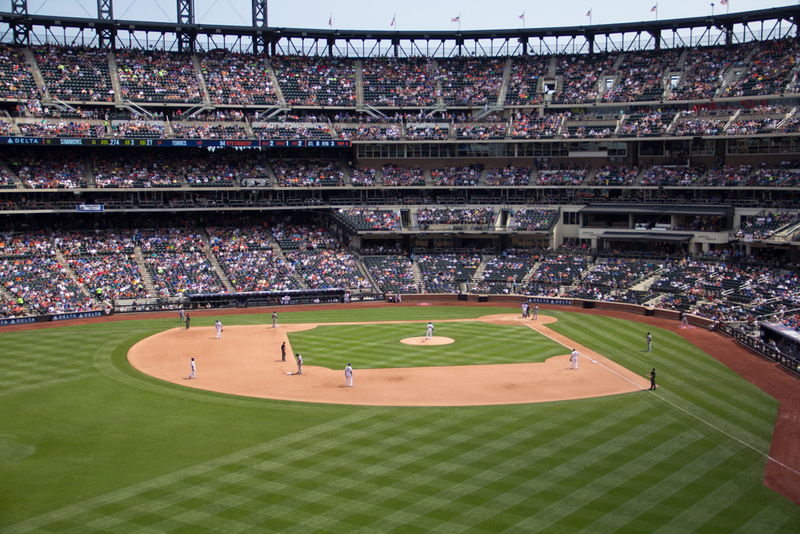 I’m a Yankees fan, and there’s no changing that. 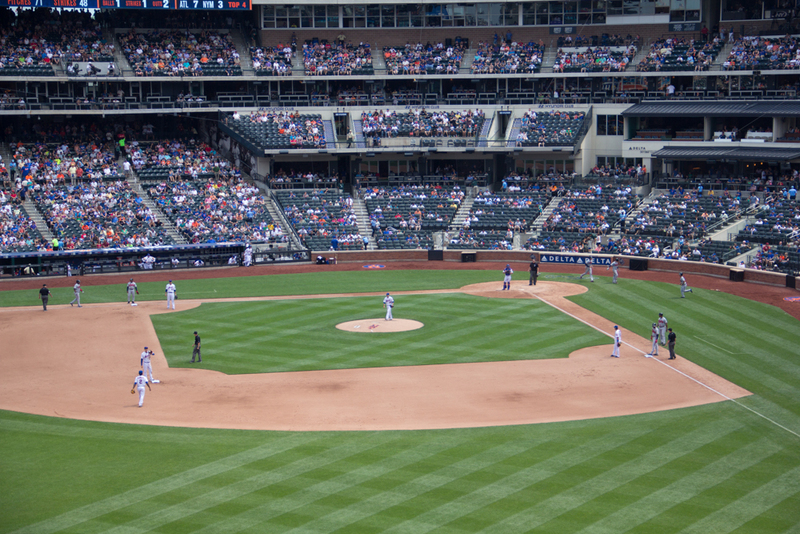 BUT, it doesn’t mean that I’m not interested in checking out all the great teams New York has to offer. 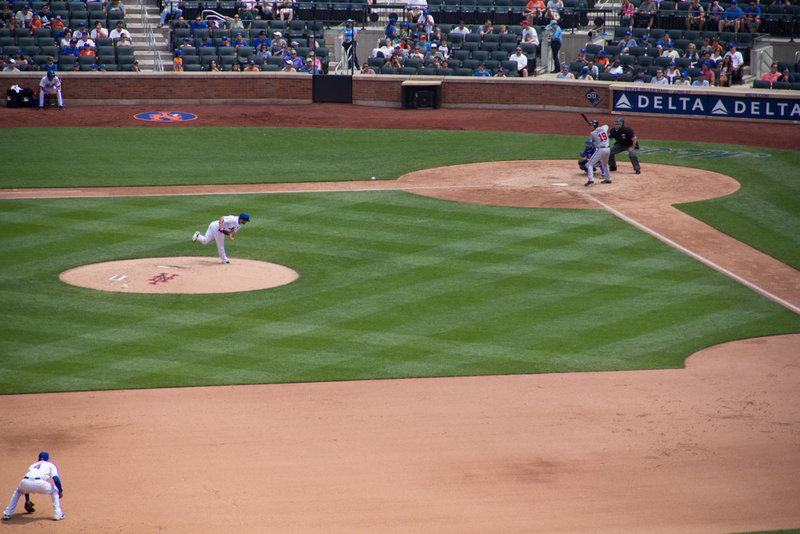 When it comes down to it, I’m always gonna cheer for the home team, New York! 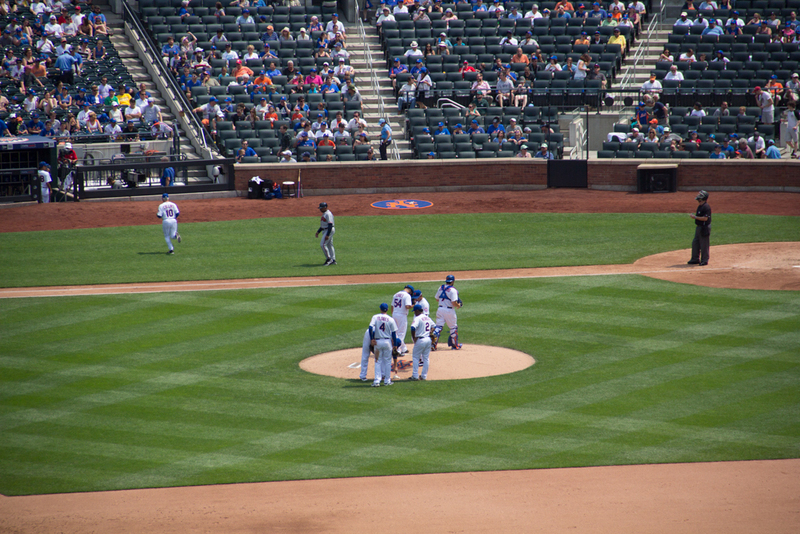 On a hot Sunday afternoon in June we headed to our first Mets game in Queens (thanks to my sister in law for inviting us!). 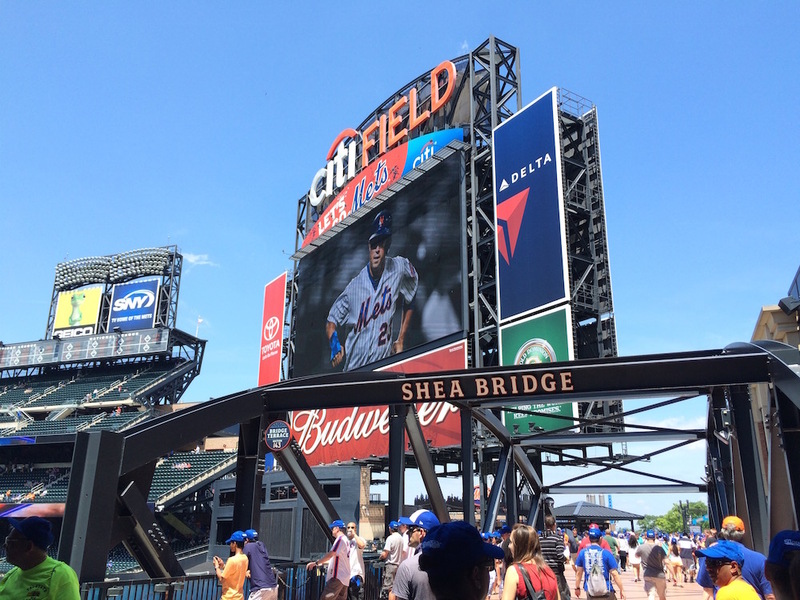 I’d never been to Citi field, or even seen the Mets play, so it was a day of firsts. The stadium is beautiful! 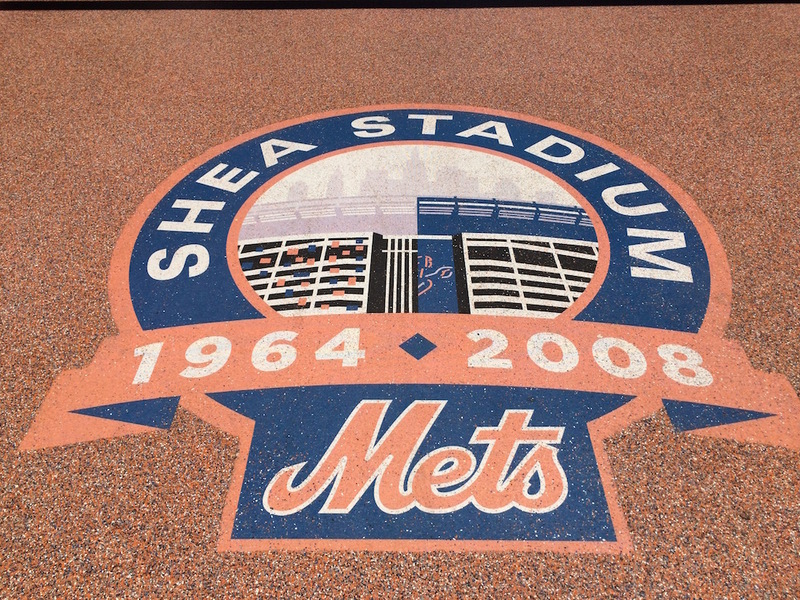 It was built to replace Shea Stadium which was home to the Mets from 1964-2008. 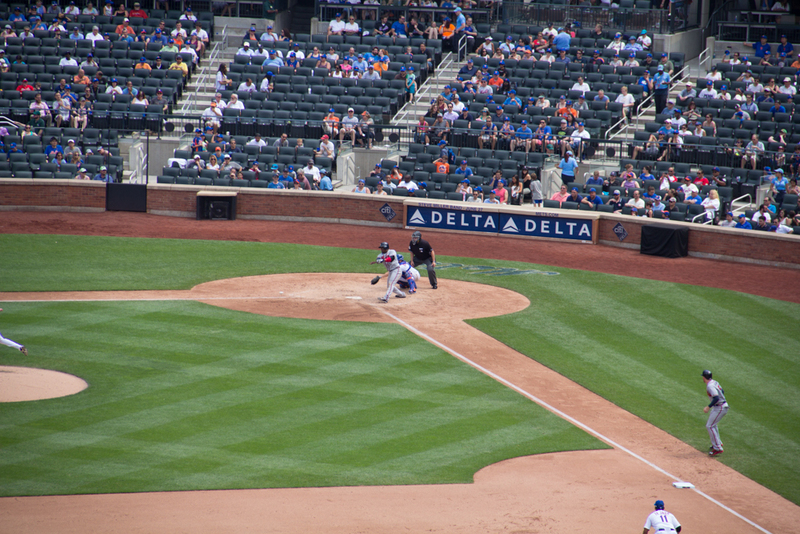 Shea was demolished in 2009 and became the parking lot for the new home to the Mets, Citi Field. 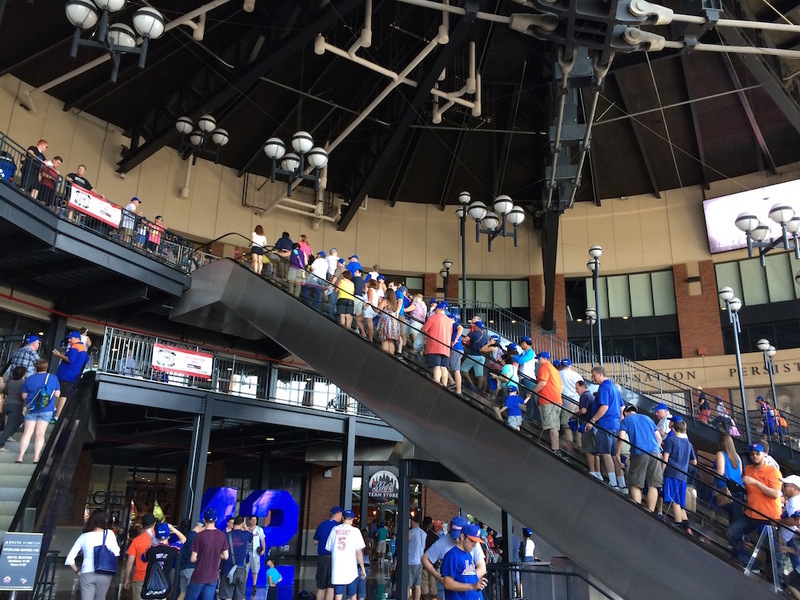 We came in the front entrance which is named the Jackie Robinson Rotunda after the great Brooklyn Dodgers player, where they honor his life and his accomplishments. 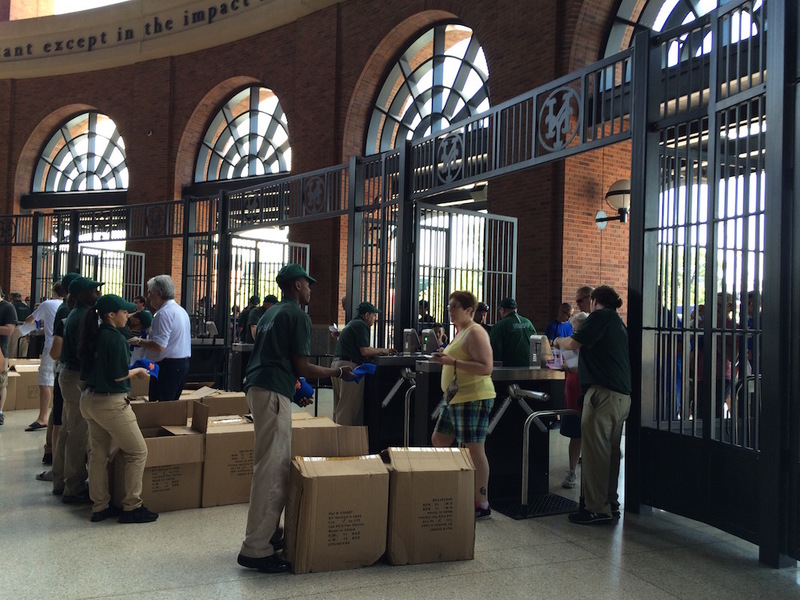 It was free hat day for the first 18,000 fans! Every time the Mets get a home run that red apple rises out of the ground. 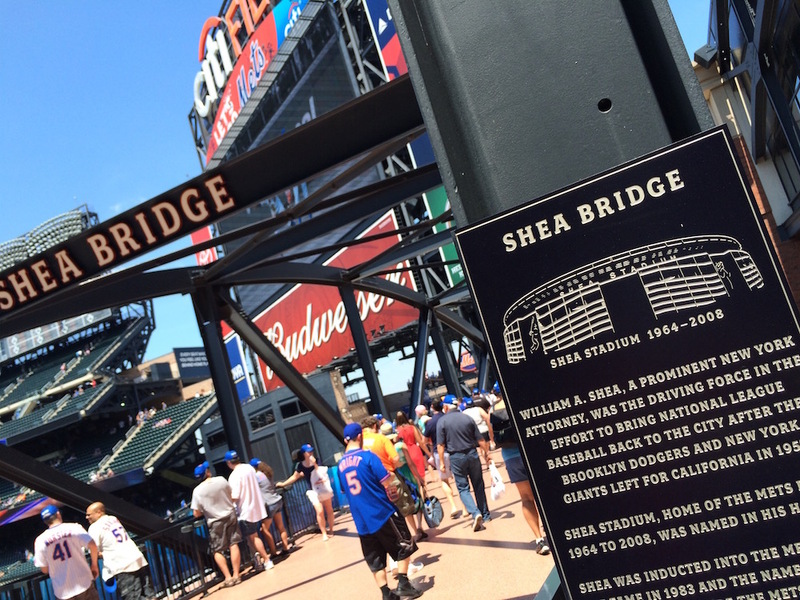 You can walk across Shea bridge, a pedestrian bridge in the outfield where they have details about the old Shea Stadium. 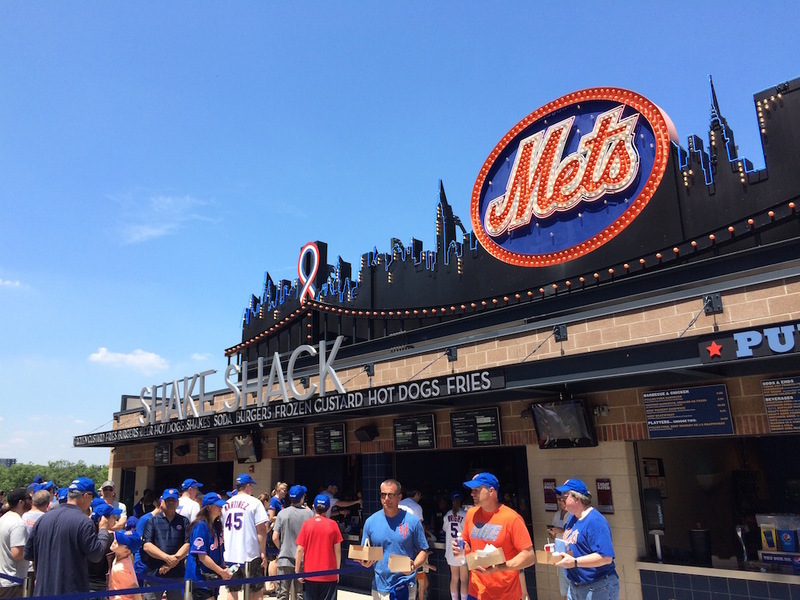 They have Shake Shack in Citi Field! The best! 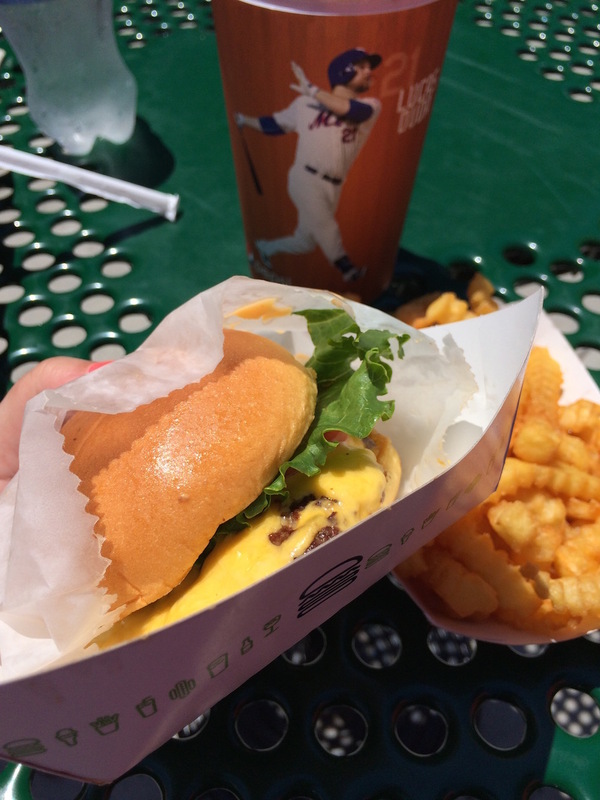 Shack burger and fries, a must! 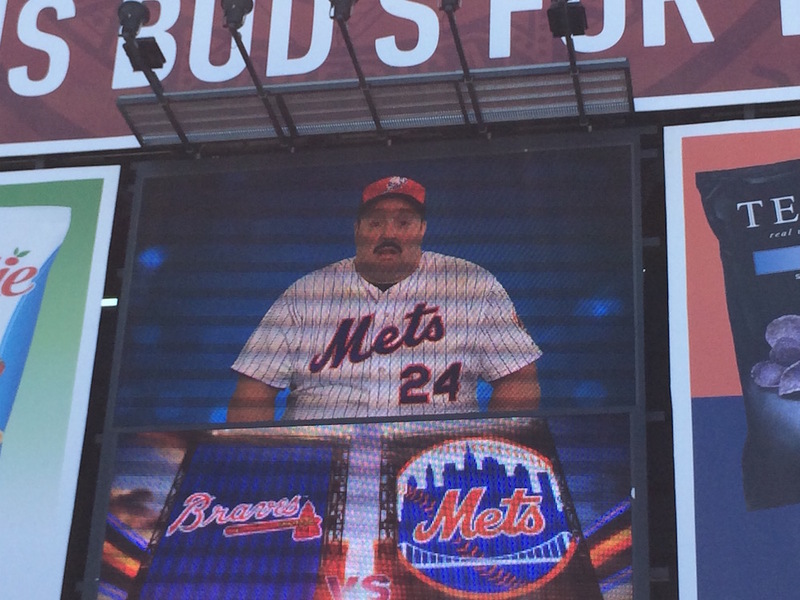 Kind of a terrible picture, but Kevin James does the announcements throughout the stadium on screen. They are hilarious, and I loved it! 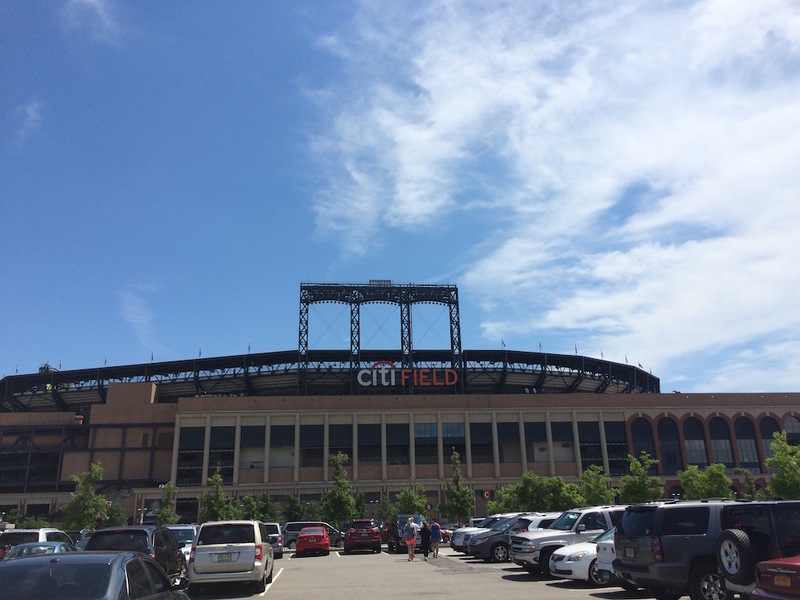 As a huge King of Queens fan, I couldn’t help but think of Doug and Carrie Heffernan and the episode when they go to “Mets jail”. I love that show! 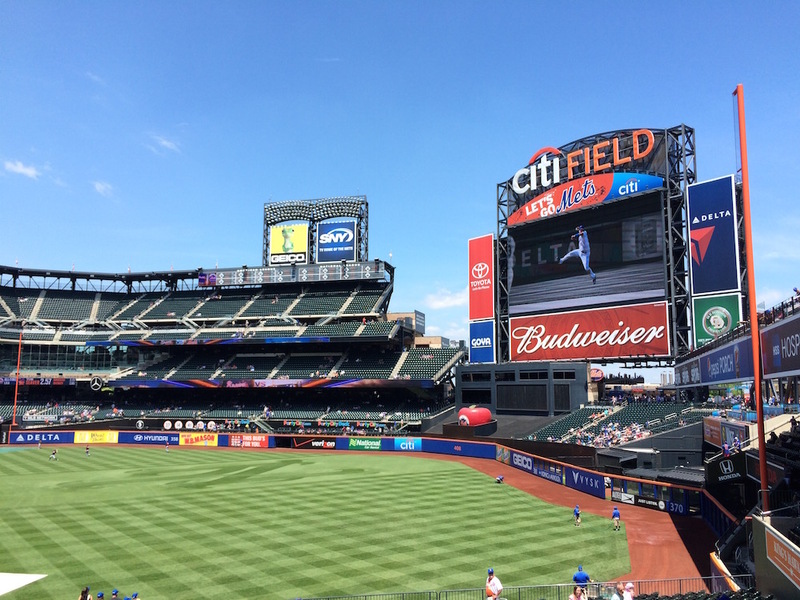 They have the Pepsi sign in the outfield as a miniature version of the iconic one in Long Island City, Queens. 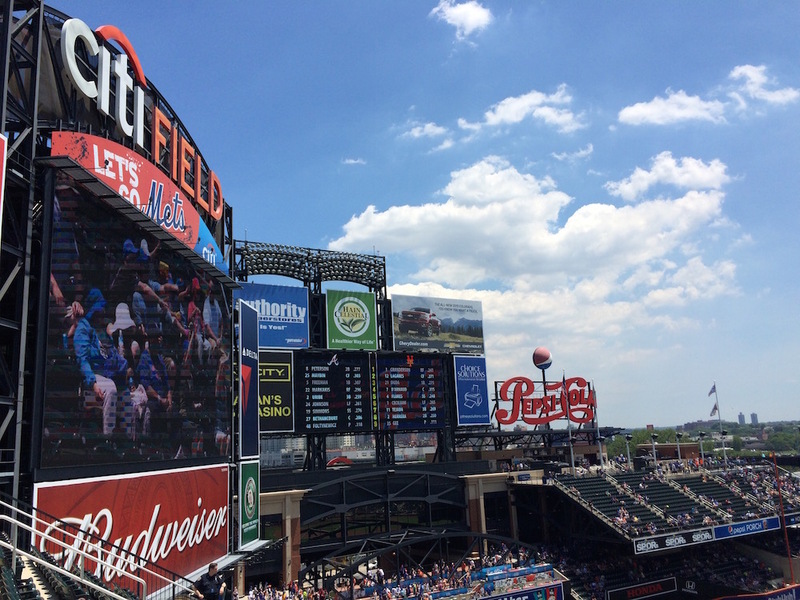 The Mets played against the Atlanta Braves (the Mets won!). 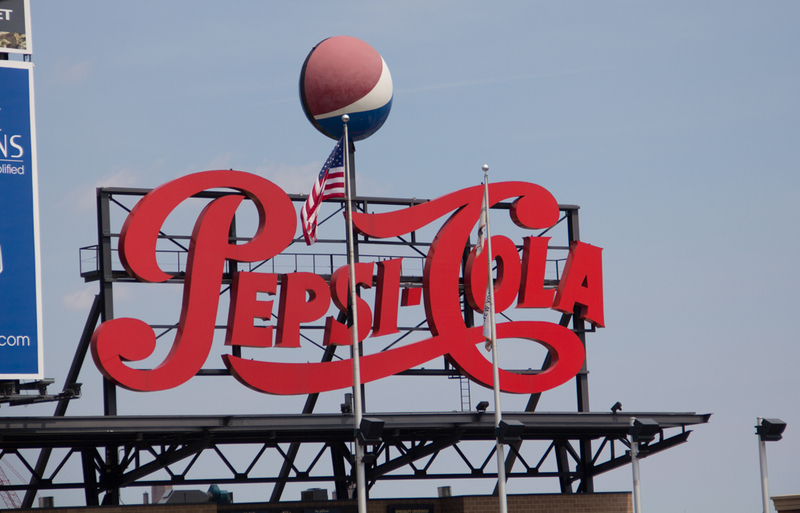 A close up of the Pepsi sign. So let’s hear it! 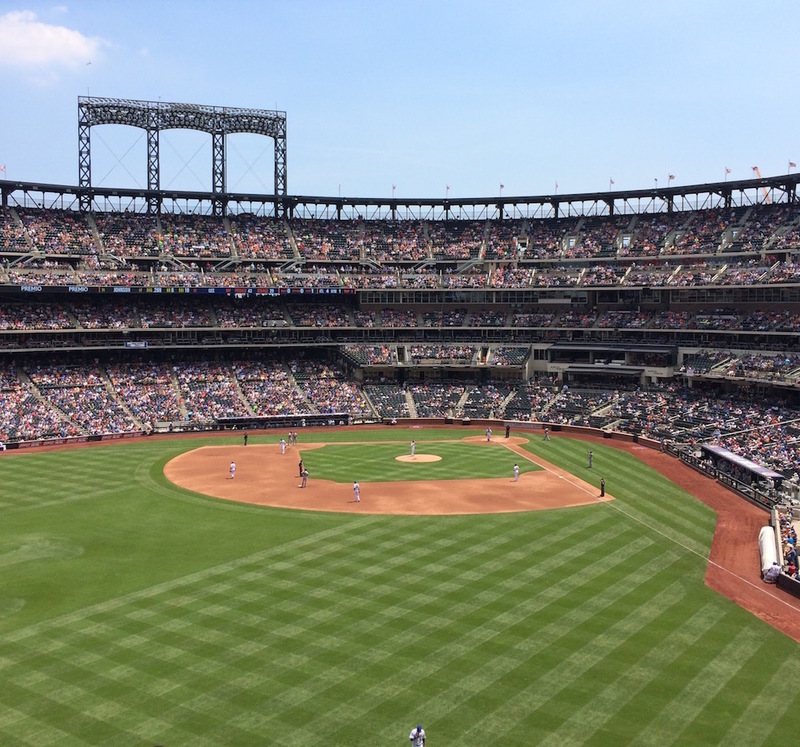 Are you a Yankee fan or a Mets fan? Let me know in the comments below! *These pictures were all taken with my iphone 5S and my Canon 60D and kit lens.